For the first time in front of an American audience, two of Europe’s top handball teams will face off: Poland and Germany. This Saturday, July 17th, number five ranked Poland takes on number four Germany at the UIC Pavilion in Chicago. Poland comes to the match with a chip on its shoulder after losing to Germany in 2007, the last time the teams met. The game will be played on 20,000 feet of SnapSports® BounceBack® ShockTower® surfacing. SnapSports is the official flooring provider for USA Team Handball. USA Team Handball recognizes SnapSports BounceBack for its speed, ball response and unique safety features. “We know that team handball is making strides in the US and we’re coming right along with them. No other company makes surfaces that stand up to the incredibly intense gameplay team handball brings. ” said Jorgen Moller, CEO of SnapSports. The German team has three Olympic medals, while the Poles have four World Championship medals, so this is sure to be a fierce competition. Doors open at 10:30 am, July 17 and the festivities begin with live German and Polish music, a beer garden and food. The SportsFive network will broadcast the match. America’s oldest, largest and most prestigious futsal tournament will commence July 8th through 11th at the Long Beach Convention Center. At the 25th USA Futsal Championship Tournament, teams with members ages 10 and up will compete for the opportunity to call themselves the nation’s best. SnapSports® is the official and exclusive surfacing provider for the United States Futsal Federation (USFF). USFF, national governing body for Futsal in the US, is furnishing eight courts totaling 57,000+ square feet for the tournament. Each blue and red court measures 66′ x 108′ and has a play area of 60′ by 100′. SnapSports BounceBack ShockTower is the USA Futsal surface of choice because of the optimum cushioning the flooring provides. Foot control and technique are essential in this fast paced sport and SnapSports ShockTower performs at the highest level for these outstanding athletes. “Over the last 25 years, the game of futsal has progressed dramatically, especially in the US. We’re proud that the world’s top professionals choose to play on our courts and consider it a testament to the unmatched quality and performance of our sports flooring lineup” said Jorgen Moller, of SnapSports. Futsal is a five-a-side version of soccer where athletes play on basketball-sized courts. The sport traces its roots to the 1930s and today, athletes play worldwide. Futsal is currently experiencing explosive growth in the US. The US Youth Soccer Association (USYSA) and US Futsal signed an agreement in August of 1995 to promote Futsal in all National State Associations as their game of choice for indoor soccer. Many American soccer coaches use Futsal to train athletes, especially in the off-season. More than 7,000 players from 25 states will compete in this year’s Phoenix Volleyball Festival on SnapSports® BounceBack® volleyball surfaces. 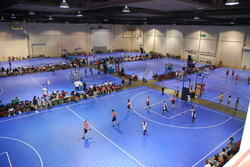 The event is one of the largest volleyball tournaments in the country, one of the most significant tournaments SnapSports surfaces are played on. The showcase Red and Blue Championship Court comprises of multi-patented and patent pending SnapSports ShockTower® sports flooring. 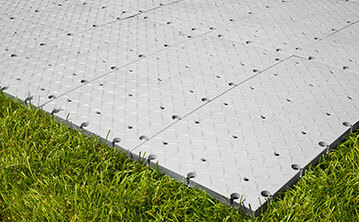 ShockTower has the top performance and safest play surface in the industry. Therefore, ShockTower offers players an added level of shock-absorption for high impact play. It’s been the preferred surface of the festival for a second year in a row. 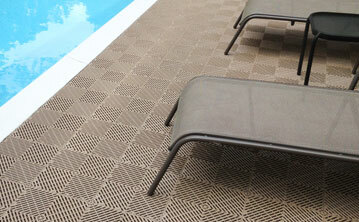 This surface is also the preferred flooring of top athletes all over the world. “We’re thrilled to be a part of The Volleyball Festival for a second year in a row. Our SnapSports® premium volleyball surfaces were choosen above all others for the top volleyball players in the world to compete on and we think that says a lot about the quality and performance of our flooring!” says Jorgen Moller, CEO of SnapSports, Inc.
Tickets for the event are on sale now at the US Airways Center box office. The championship round will commence at the US Airways Center in downtown Phoenix on July 3rd. FOX Sports and Prime Ticket networks will broadcast. About Volleyball Festival – the Volleyball Festival has been dedicated to expanding opportunities of young women athletes since 1984. Now in its 27th year, the Volleyball Festival serves over 10,000 athletes annually and is part of the International Volleyball Hall of Fame. Called “the biggest basketball event in Utah history” by its organizers, the Amateur Athletic Union (AAU) All Under One Roof Big Mountain Jam will pit hundreds of teams from across the country against each other in Salt Lake City. Boys and girls teams from four classes will compete during the Big Mountain Jam five day event, one of the largest amateur sporting events in the US. Middle school/high school, AAU club, men’s church and Jr. Jazz /recreational teams will face off for the opportunity to call themselves the best amateur team in the country. 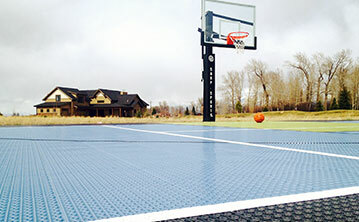 Over 82,432 feet of SnapSports BounceBack® flooring will be in play for the tournament’s 16 basketball courts. A 10,360 square foot SnapSports handball court will also be installed at the same venue as handball players from across the state of Utah, and the Western USA, will gather for Salt Lake Handball Club’s first major event. SnapSports is also the official sports surface for USA Team Handball. The Big Mountain Jam will continue from June 27 to July 3 and will take place at the South Towne Expo Center in Sandy, Utah. “To have a world-class organization, which promotes healthy competitive youth sports and our partners at USA Team Handball, right here in our backyard, together, is fantastic! It’s rewarding to be chosen as these organizations’ exclusive sports flooring over all other competitors,” said Jorgen Moller – CEO of SnapSports. The AAU is one of the world’s largest volunteer sports organizations in the country and its mission is to develop and promote amateur physical fitness and sports programs. 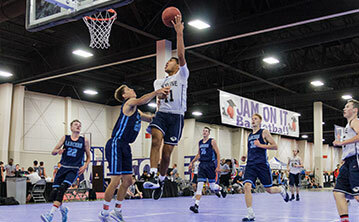 AAU basketball players, both of the past and present, have a long history of dominating the rosters of the most distinguished basketball tournaments across the nation. Sunday’s episode of DIY Network’s makeover show Man Caves brought hosts Jason Camerson and Tony “The Goose” Siragusa together with racing star Jimmie Johnson and his brother, Jarit. The Johnson brothers asked Man Caves to build a custom Father’s Day garage for their dad, Gary. The episode documents the transformation of a typical suburban garage into a man cave that would make any father proud. Complete with a pool table, underground motorcycle lift, flat screen television, RaceDeck floor and a new Victory motorcycle the ultimate man cave was accomplished. The install included RaceDeck Diamond and RaceDeck XL tiles which both have a high-tech, diamond plate pattern for a contemporary look and added traction. They are a very popular alternative to traditional epoxy or paint solutions. The Father’s Day Special episode of Man Caves aired Sunday, June 20 at 9pm EST. The 21st Annual Amateur Athletic Union (AAU) Reno Memorial Day Basketball Tournament took place at the Reno/Sparks Convention Center on May 29th-31st. Players competed on the multi-patented SnapSports® Indoor BounceBack® surface and the superior Indoor BounceBack ShockTower® surface throughout 35 modular basketball courts. 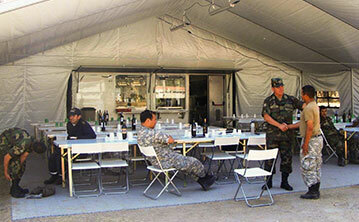 The events have grown significantly from years past and continue to gain momentum each year. The AAU is one of the largest non-profit volunteer sports organizations in the United States. A multi-sport organization, the AAU dedicates itself exclusively to the promotion and development of amateur sports and physical fitness programs. Players at the Reno Memorial Day Tournament consisted of over 630 teams of boys and girls, ages eight to seventeen. These players competed in more than 1,350 basketball games during last weekend’s event. 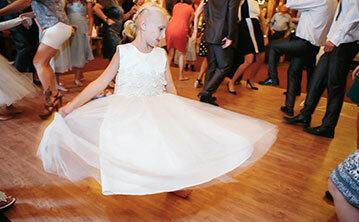 “I could not believe the overwhelming energy and the high spirited atmosphere of the event this year. It was evident that every player, every coach, as well as the parents were all very much a part of this excitement. SnapSports was thrilled to have contributed to the energy as well as be a part of what was the largest basketball tournament in the world!” says Dan Wollman, SnapSports Vice President of Sales. 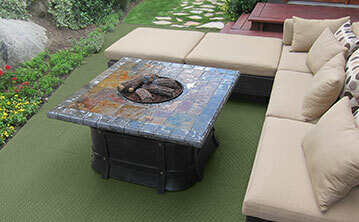 “SnapSports flooring is awesome! The players love it. The bounce they have from jumping, the ball handling… is second to none,” says Matt Williams, AAU President of the Pacific Region and Tournament Director. Nearly 600 square feet of RaceDeck TuffShield and RaceDeck Pro was featured on the May 14th episode of DIY’s Garage Mahal. The show, hosted by former professional wrestler and car enthusiast Bill Goldberg gives everyday garages complete makeovers. The high-gloss, metallic looks of RaceDeck TuffShield and RaceDeck Pro matched the theme of this week’s “Video Game Garage” remodel. If you’re a gamer, see some drool-worthy pictures at the DIY Network website and watch a short clip of the episode on our About Us page. 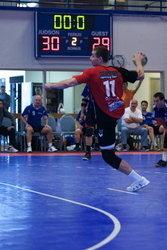 The 42nd USA Team Handball Championship, being held May 21-23 in Las Vegas, Nevada will feature thousands of handball athletes competing in the Men’s Elite, Men’s Open and Women’s Elite divisions. The event is presented by USA Team Handball in conjunction with Visit Las Vegas!, the Las Vegas Scorpions Handball Club and the Salt Lake Handball Club. SnapSports is the official flooring provider for USA Team Handball. Tournament games are generally played on the company’s BounceBack ShockTower surfacing. 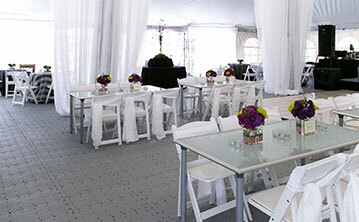 “As always, it’s exciting when our products are involved in such a high profile event. We’re proud of the fact USA Team Handball keeps coming back to us. We think it says a lot about our products,” says Jorgen Moller, CEO of SnapSports, Inc.
Salt Lake City (MMD Newswire) May 7, 2010 — Hip-hop legend and automotive devote, Funkmaster Flex, overhauled a Ford Fiesta on last Sunday’s premiere episode of the MTV2 series, Funkmaster Flex Full Throttle. 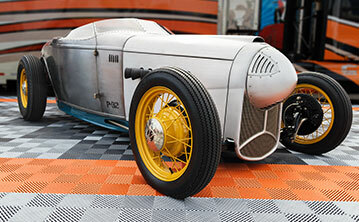 The show is a mix of custom auto makeovers and interviews with the likes of Ludacris and Diddy. Producers of the show contacted RaceDeck because of its reputation and quality. 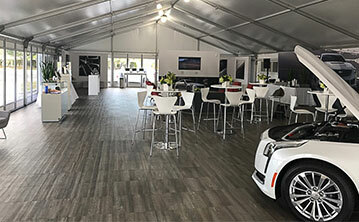 Over 1,500 square feet of red and black RaceDeck Diamond flooring was used to outfit the New York garage where the show is filmed. Funkmaster Flex Full Throttle airs Sundays at 2 p.m. EST on MTV2. The event, to be held April 23-25 in Myrtle Beach, South Carolina, will feature the top men’s and women’s Team Handball collegiate teams. An Olympic sport, team handball is played by teams of seven athletes each charged with scoring goals against their opponents in a 60 minute, high-paced, game which at times resembles soccer, basketball, and hockey. SnapSports is the official flooring provider for USA Team Handball and tournament games are generally played on the company’s BounceBack ShockTower surfacing. 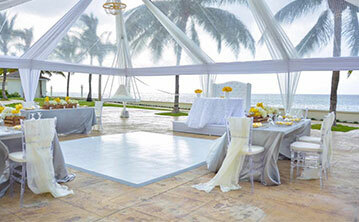 “As always, it’s exciting when our products are involved in such a high profile event. USA Team Handball could choose any equipment provider in the world, and we’re proud they keep coming back to us. We think it says a lot about our products.” – Jorgen Moller, CEO of SnapSports. This year’s tournament will see the West Point Black men’s team in contention to win their fourth straight national championship and the reigning women’s champions, the Carolina THC, in their first attempt to defend theirs.